Retrofitting your correctional facility or detention center to meet ADA requirements may not be as expensive as you think. Far less costly than a lawsuit, and often cheaper than the fees and fixes some consultants require. In July of 2017, Disability Rights Florida settled a federal lawsuit against the Florida Department of Corrections (FDC) over its systemic failure to comply with federal measures intended to protect individuals with physical disabilities incarcerated throughout Florida’s prisons. Part of the settlement agreement includes the removal of architectural barriers in many prisons for prisoners with mobility disabilities. The full cost to FDC is as yet undetermined. In December of 2018 Shasta County agreed to settle a similar class-action lawsuit. Under the proposed settlement, the county has agreed to hire an expert to inspect and oversee fixing of areas of the jail that aren’t compliant with the ADA, hire an ADA coordinator to monitor how the jail complies with disability and accessibility laws, and more. According to Record Searchlight, every year the county sets aside money to pay for ADA upgrades to its buildings. That amount is about $100,000 and budgeted through 2023. They do not yet know what to expect at this point, but it is likely that money will run out quickly. County Executive Officer Larry Lees said that would be the first pool the county draws on when it knows how much the upgrades will cost. But, since the agreement hasn’t yet been approved nor the expert hired, it’s unclear what upgrades might be needed. These two cases are just the tip of the iceberg. More and more prison systems are concerned about the high cost of ADA compliance. If they don’t retrofit their prisons, they face lawsuits like the ones above. If they do retrofit their facilities, they fear they will not have enough money in their budgets to accomplish the task. It’s often the taxpayers who are left footing the bill, and that becomes a political nightmare. The reality is, many ADA compliance retrofits are not as costly as correctional institutions think. Often, when we are called in to look at a potential retrofit, we find that merely choosing a virtually indestructible stainless steel comby with a different orientation eliminates the need to reroute the current plumbing system. Yes, there are consultants and experts who specialize in ADA compliance who will assist with everything from cell redesign, to providing sign-language interpreters, recommending telecommunication options, and education for your staff. However, if you are just addressing the cell issue, we can assist you with that at no charge. It is simply part of Acorn Engineering’s service. Our engineers and sales team are experts on ADA guidelines relevant to the built space in prisons and can provide design assistance for retrofits. We can also assist with creating a suicide-resistant environment using ligature resistant products. It is entirely possible to retrofit your entire prison so that every cell is ADA compliant and ligature resistant. This approach is beneficial as it will eliminate any future problems when you are trying to stay within the ADA prison requirements for integrated settings. You no longer have to worry about moving inmates around to ensure a new detainee with disabilities has access to accessible housing in his or her security classification because every cell is accessible. 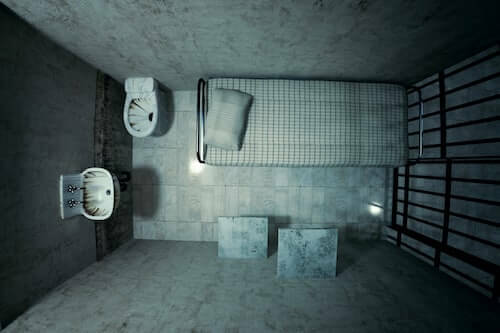 If you are retrofitting your older facility to meet ADA requirements, or building a new prison or detention center and want to consider a universal design approach, please give us a call. We’d love to work with you and see if we can save you some money. Money you could put to good use somewhere else.